I know we all have only 24 hours. And there is so much one could learn and spend time with! Languages, knitting, gardening, surfing, playing an instrument, cooking etc. And all those things make excellent hobbies, now why learn Tai Chi? 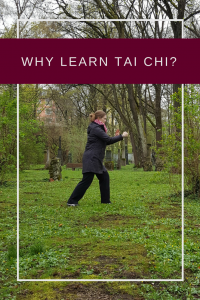 I will give you a number of reasons why I learn Tai Chi (or Taijiquan). I started more than a decade ago. 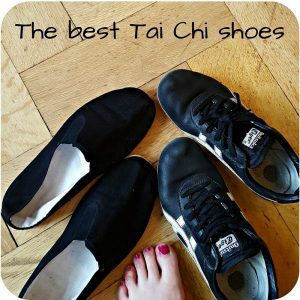 My reasons may be personal, but if you can relate to some of them, you should try a Tai Chi for beginners class! Tai Chi really benefits my health. I mean, there are many aspects that benefit me in my everyday life (e.g. I am more relaxed and balanced), but there are even more scientific proven benefits of practicing Tai Chi. I specifically like Tai Chi for its meditative moves. Especially in the beginning it was hard for me to meditate. But I could always do Tai Chi – it is called meditation in motion for a reason. Now, after years of practice, I also like to meditate. 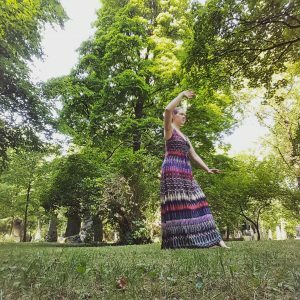 But for me Tai Chi is really useful to build that body – mind – soul – connection. And what I also like about Taijiquan: I will be able to do it until the day I die. Literally. I mean, there is probably someone somewhere who goes for a daily surf even at the age of 97. But I guess the majority of 97-years-olds have a much calmer lifestyle. And you can do Tai Chi exercises standing, or even sitting, just doing the form in your head. And there are definitely many Qi Gong exercises where you barely not move at all. Actually I’ve read that Lou Reed did his Tai Chi training on his deadbad! Another reason, why I love learning Tai Chi is that there is so much to learn! With all the styles, forms, moves, weapons – I will never grasp them all in one lifetime. Additionaly, there are not only the movements and exercises, but also the terminology or the principles. Traditional Chinese Medicine is a very interesting related aspect. Of course, as Tai Chi comes from China, there is the Chinese culture and language. I am actually thinking about learning Chinese! Because I want to travel to China one day and I would love to be able to order some food. By the way: Tai Chi and Qi Gong are excellent for travellers or people living in smaller apartmens. Because to do the basic Tai Chi moves, you do not need a large space. Basically if you can open your arms and make a step to each side, you have enough room to practice. Compared to other hobbies, I like about Tai Chi that I do not need much stuff. I just get up and do it. I don’t need a surf board, knitting needles, an instrument, I don’t even need a Yoga mat! There are some things that I like to use, e.g. my Tai Chi shoes, Tai Chi weapons, or a beautiful meditation pillow. But they are totally mandatory. I think that Tai Chi really suits any lifestyle, especially if you tend to live more on the minimalistic side! On top of all of those reasons why I enjoy Tai Chi, there is one more aspect: it is a martial art. And even though I am not an armed-to-the-teeth kind of woman, I do like the fighting part of Tai Chi. To me, it is more about getting to know myself – because I learn how to deal with pressure. And it’s about communication. I actually think that the world needs more “body” communication. Especially thinking about Virtual Reality, I think Tai Chi is a very friendly way to get literally in touch with other people! And most Tai Chi practitioners are really nice, relaxed people to hang out with. Well, you asked “why learn Tai Chi”, and I gave you my very personal reasons. And I ask you, if you already started learning it: why do YOU learn Tai Chi? I am sure there are many more aspects why to practice it and I would love to read about your reasons in the comments! P.S. 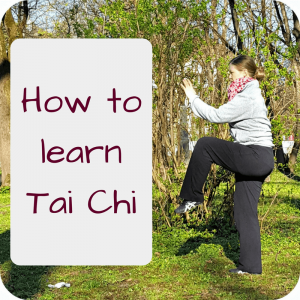 : If you’re all fired up and want to go to Tai Chi lessons but don’t know how to find an instructor, have a look at this blogpost: What you need to know to search for “Tai Chi near me”. 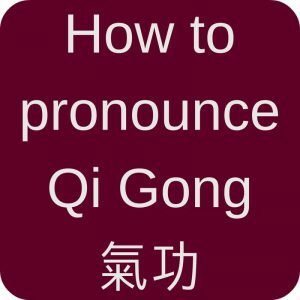 This entry was posted in Thoughts and tagged benefits, celebrities, learn, Qi Gong for beginners, Tai Chi for beginners on 2017-06 by Angelika Fritz.